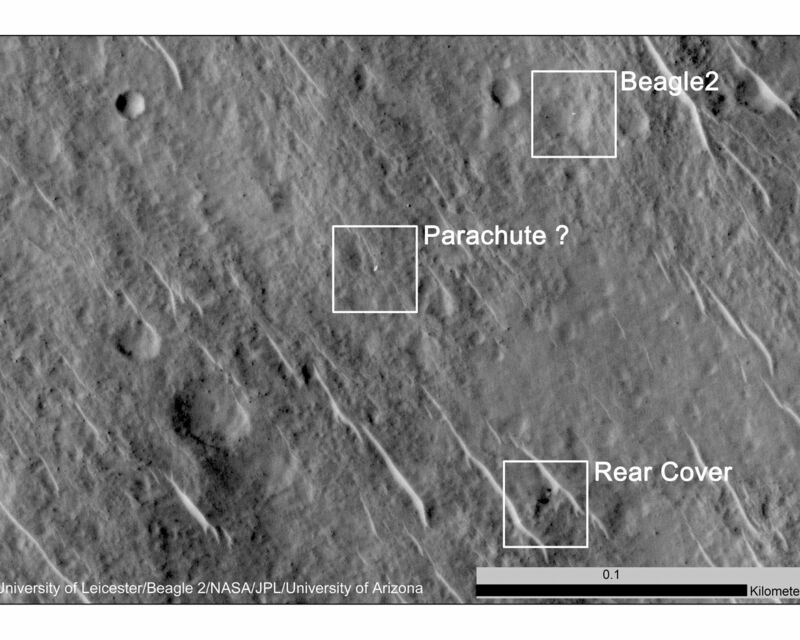 Beagle 2 was released by the European Space Agency's Mars Express orbiter but never heard from after its expected landing. 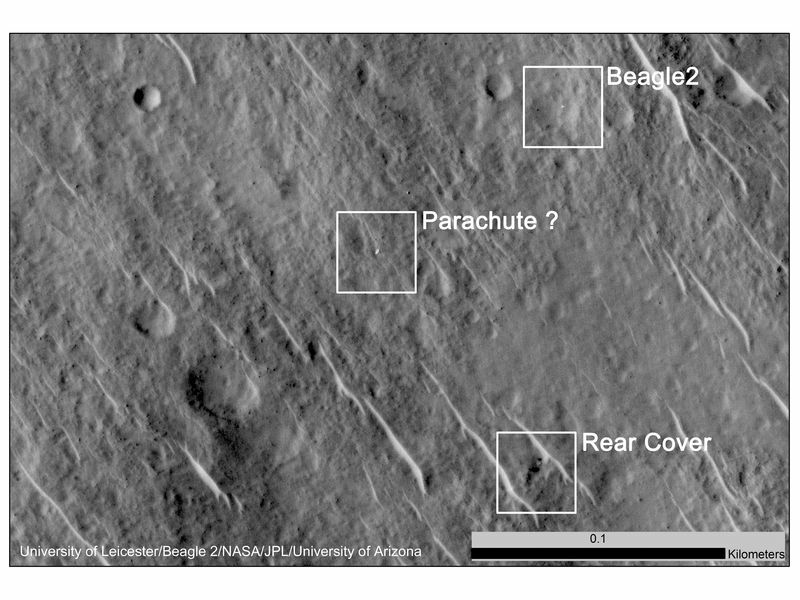 Images from the High Resolution Imaging Science Experiment (HiRISE) camera on Mars Reconnaissance Orbiter have been interpreted as showing the Beagle 2 did make a soft landing and at least partially deployed its solar panels. The 0.1-kilometer scale bar indicates a dimension of 328 feet. The location is approximately 11.5 degrees north latitude, 90.4 degrees east latitude. 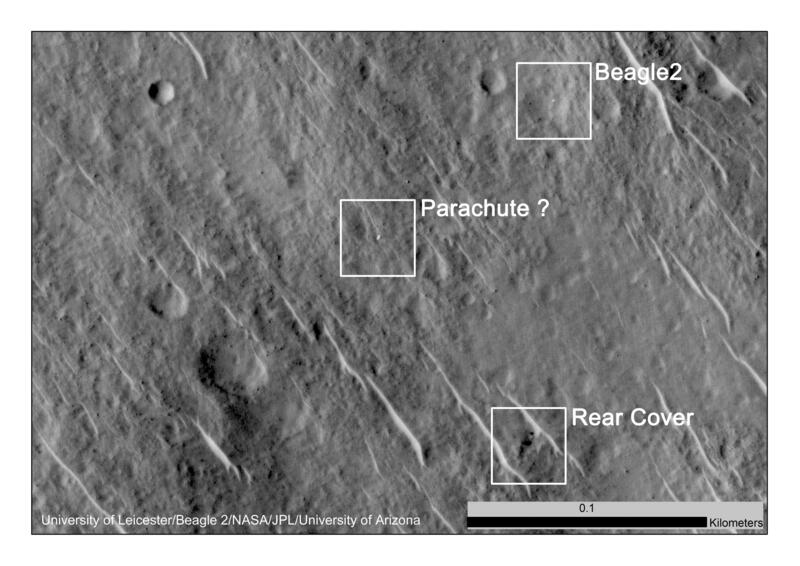 The image is an excerpt from HiRISE observation ESP_037145_1915, taken June 29, 2014. 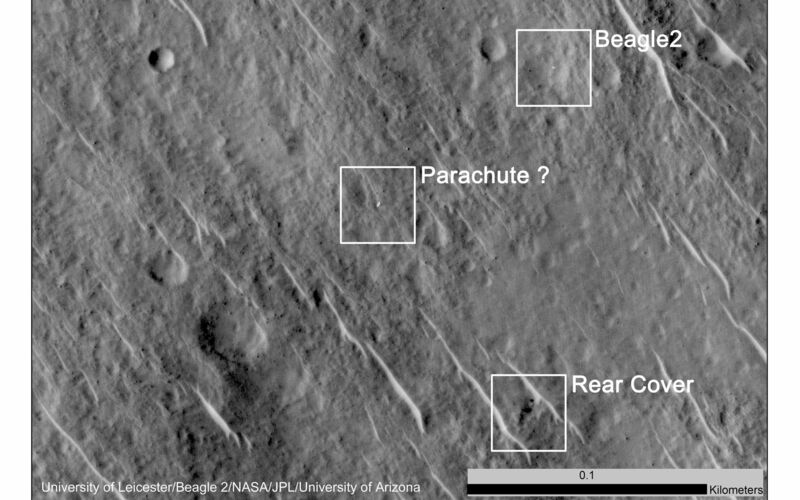 Other image products from this observation are available at ESP_037145_1915.